For 2016, the Jeep Grand Cherokee's V6 increases in output to 295 hp. All models but the SRT come with electric power steering with customizable settings, while the SRT receives minor interior upgrades and lighter suspension components. A High Altitude special edition is available with Overland trims. 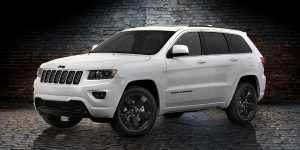 Find the used Jeep Grand Cherokee of your choice from a dealer in your area. Search our used car listings now.